My 2nd cousin Courtney is having twins! Since she’s also the gal behind my rockin hair colors we’ve gotten to know eachother pretty well! So I’ve loved talking to her about her pregnancy, and her expectations after the twins are born. It’s really all very exciting and scary (like all babies but bumped up a notch). I’m partly totally jealous (I really REALLY wanted to end with twins- oh well) and partly relieved it isn’t me. ANYWAY, she’s having a boy and a girl and her nursery is going to be mustaches and lips with bright bold colors (black, red, orange, pink, blue, etc…) so when her family baby shower came up last month I couldn’t WAIT to make her cake. I worked with my silhouette to cut out fondant mustaches and lips, but then the week before I had my massive computer crash and even though the files saved, my silhouette software is STILL not working right and I couldn’t get the fondant pieces cut out! Grrrrrrr. 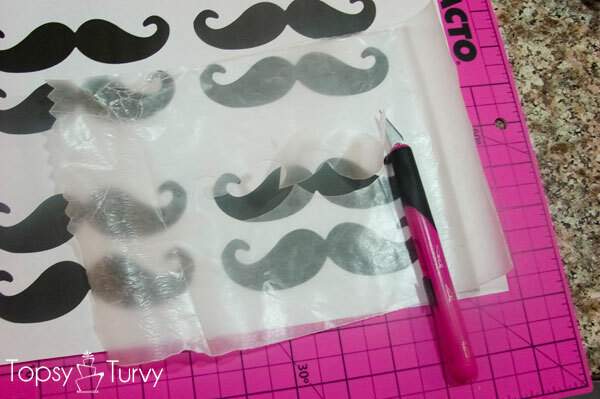 SO I grabbed my Elmers self healing mat, and x-acto blade and cut the mustaches and lips out of wax paper. Then using my airbrush machine I sprayed them on! Not QUITE as perfect as I envisioned, but overall super cute! The shower was a double shower with her sister in law whose expecting her first girl after 3 boys. So the top layer of lips represents her sweet little bundle and then the larger bottom layer is for the twins! (the top just looked better with both! 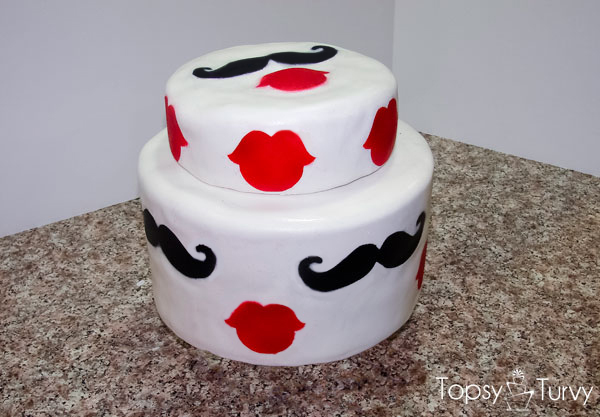 It was supposed to be fondant mustaches and lips sticking up on wire, but this works too! Agreed! Love the bright colors! Thanks so much. Super cute, and what a great way to solve a problem. I would have just cried and given up myself LOL. HA! Well when a cake is due giving up isn’t really an option, as much as I might wish it was! Thank you so much! 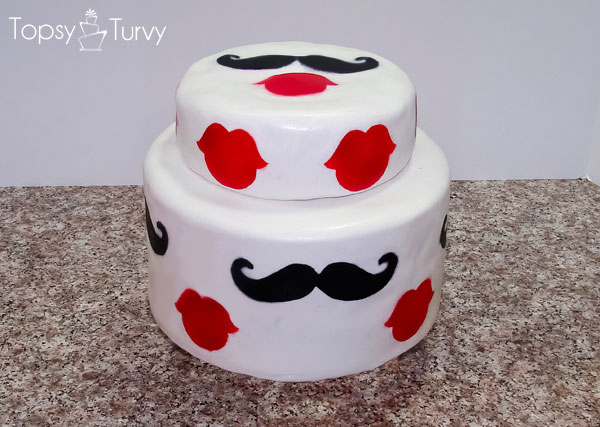 It was a fun cake to create! I love the bright colors and simple designs. The cake is wonderful, and so creative. Plus I always appreciate a set back champ, who makes do with what life hands her! Great job! Thanks! I love the colors too! Not the first time and certainly won’t be the last time something doesn’t work the way I want it to! Oh well! Thanks!!! I think it turned out pretty darn fun myself! I love silhouettes cakes! 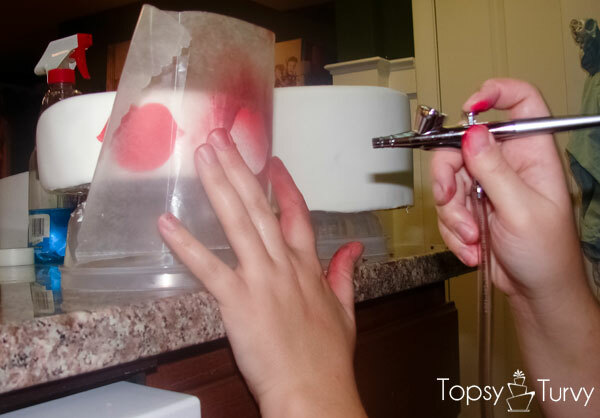 But I´m trying to know what´s the way you cut de fondant exactly? ?